Socrates and Autism. Was it Socratic Ignorance or Social Naivety? Socrates. Executed for his Social Naivety? I think Socrates was not only the forefather of Greek Philosophy but to me he seems to be the earliest example of someone on the autistic spectrum. Having just studied him for a recent Philosophy exam I couldn't help but think this guy Socrates was completely brilliant but also completely devoid of any Social skills and had no idea what Political Correctness was. Ringing any bells with anyone yet? It was well documented by Socrates' student Plato and others such as Xenophanes, that Socrates was regularly ridiculed for his lack of social correctness, as well as his absolute disregard for social convention, class structure or material wealth. 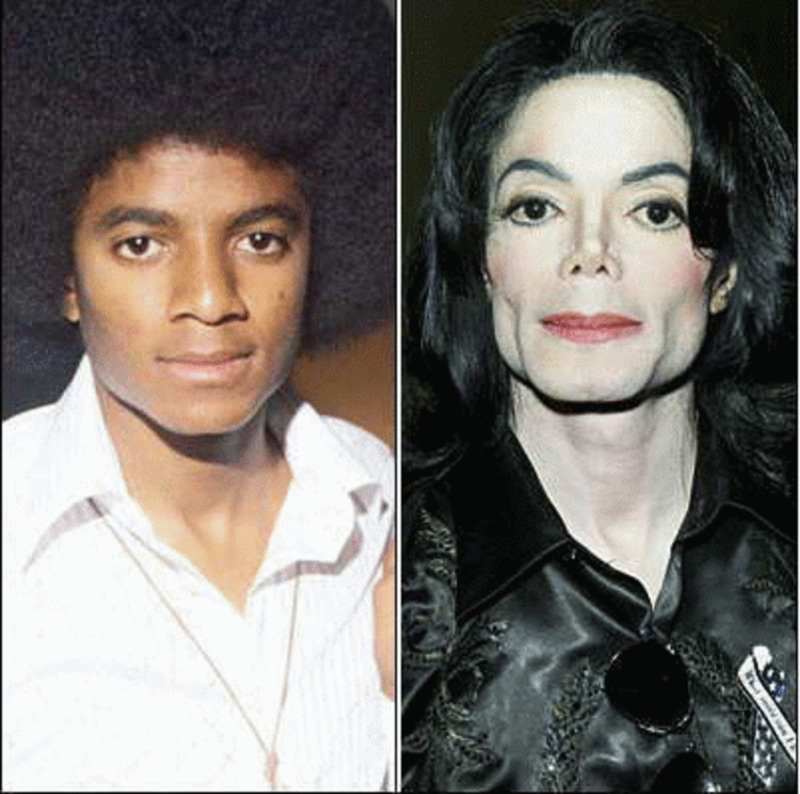 So basically he was a person who felt that all that really mattered was getting to the truth of the matter i.e. if someone was wrong, they were wrong and out he would come with his opinion completely oblivious to the Social faux pas he had just committed. In some ways I think Socrates was an ancient Greek version of me i.e. somebody who has this weird notion that getting to the truth of the matter is the most important thing. Yet as us people with Aspergers stumble through life now we eventually realize that the vast majority of the population i.e. the Neurotypical people among us, don't actually want to hear the truth at all most of the time.,Instead they like to spend hours discussing fictional accounts of events with each other. Why you may ask well to be honest I am still not sure myself but now my little inner voice often screams at me to advise me that you often just don't mention certain things and if that means lying, well then apparently that's much less of a moral dilemma than making a serious social blunder. Socrates however was having none of that and the more I read up on this ancient Greek Philosopher the more I couldn't help but feel very sorry for him. To me he possessed all the hallmarks of being a high functioning autistic genius who as is often the way with autistic individuals Socrates consistently baffled and angered everyone he met. Yet in true autistic style he managed to remain largely oblivious of this fact and remained completely unconcerned by his notoriety. In this sense I envy him a bit because I am all too aware of when I commit a Social faux pas and I often agonize over it most of the time (less as I get older though). Socrates was born in 469B.C. and was described as being a small man with a somewhat bulbous nose. He was a figure who liked to spend his days walking through Athen's stopping to question people on maters that were concerning him. He always wore the same robe and never wore shoes, material possessions being of no concern to him. Which was just as well as he never charged his students for his philosophical teachings and was never too interested in earning money. Socrates I read is considered to be the forefather of modern Philosophy. His philosophical theories were based on his belief in one vital component being necessary for a logical analysis of every question. This theory is now called ‘Socratic Ignorance.’ In essence Socrates believed that in order to reach the true answer to any question you must assume that you are totally ignorant of the subject and must therefore approach it with a truly free and analytical mind. You must remain free from any preconceived prejudices or social assumptions. 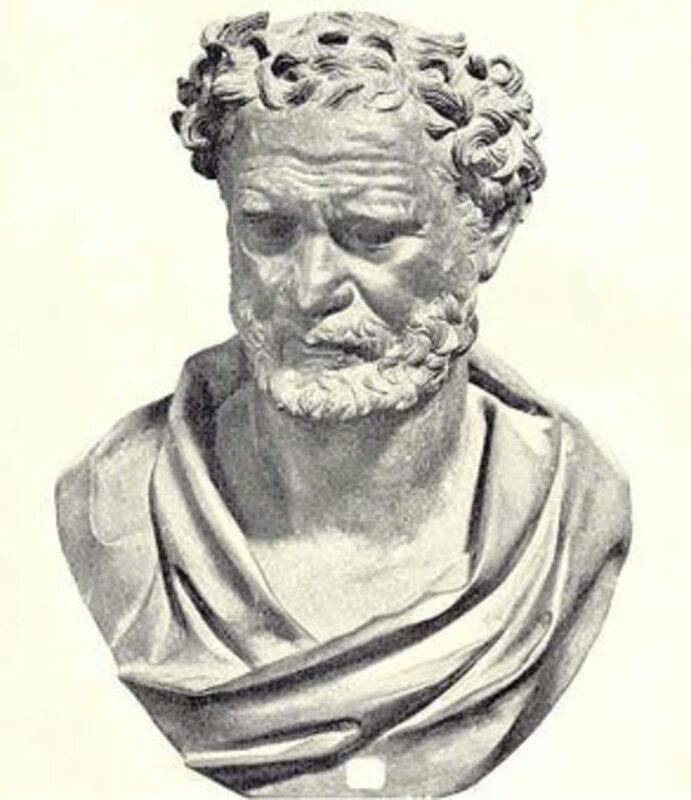 He has been quoted by other Philosophers such as Plato and Aristophanes as often saying, ‘I know that I know nothing.’ What a humble way to be yet it was this simple outlook on life that would eventually lead to his downfall. As a philosopher Socrates firmly believed that the sound foundation of every philosophical argument was to never approach the question with a misguided assumption that you already knew all the answers to the arguments or you must not reach any conclusion that is not based on sound rationality. He felt that we could always learn more about the subject at hand and you always needed to question people thoroughly to gain more knowledge. While the premise of Socrates logic was the attainment of true knowledge this constant probing of Athenians beliefs and social norms did not make Socrates a popular figure in Athens. In fact Plato wrote in one dialogue about Socrates i.e. ‘Laches,’ that one day Socrates stopped two esteemed generals Nicias and Laches, in the street and asked them if they could explain what virtue and courage were? They had both just fought in the Peloppenn War and were both of the opinion that that in order to be courageous a person had to belong to an army, advance in battle and kill adversaries. 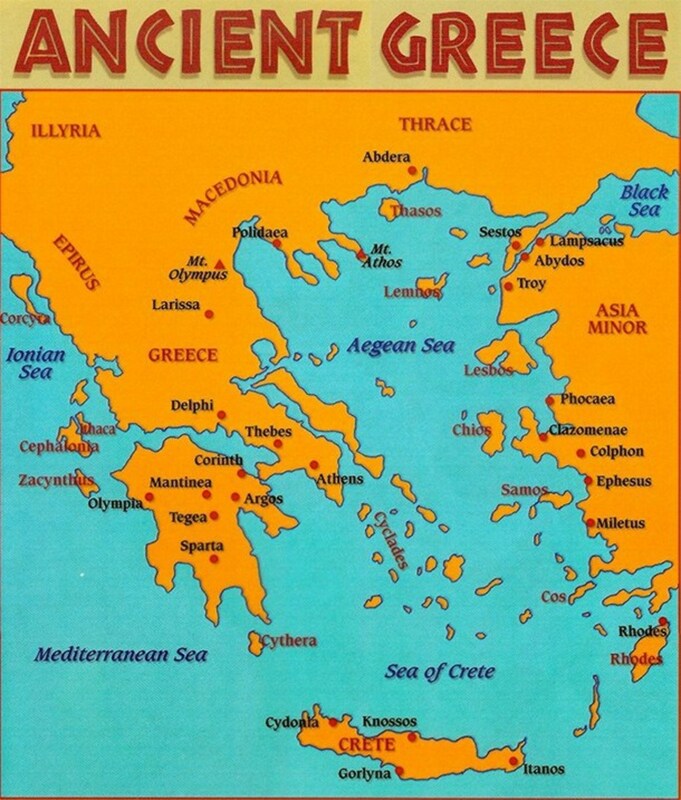 These were all commonly held beliefs in Athens at that time. Socrates however questioned whether it really was a courageous move to forge ahead in battle even when the more logical move might actually be to retreat and regroup for a more strategic attack another day? He also asked if the failure to do this when logical could then lead to a rash move which could then precipitate failure rather than success? Eventually the generals had to concede to Socrates that he did have a valid argument and that to be courageous and endure in battle you also needed to possess a certain amount of knowledge and in some instances retreat to fight another day. Also that an awareness of good and evil was also necessary and that perhaps sometimes logic and temperance were necessary qualities to being a courageous person and that warfare alone did not prove you had courage. Obviously Socrates believed that he just had a few philosophical questions that he wanted answers to but as is consistent with the autistic persona he was totally unaware of the multitude of Social Conventions he had broken in order to prove his philosophical theory. The first being he was a mere ordinary citizen and here were two esteemed generals who I am sure were used to having people scraping and bowing to them when they encountered them. 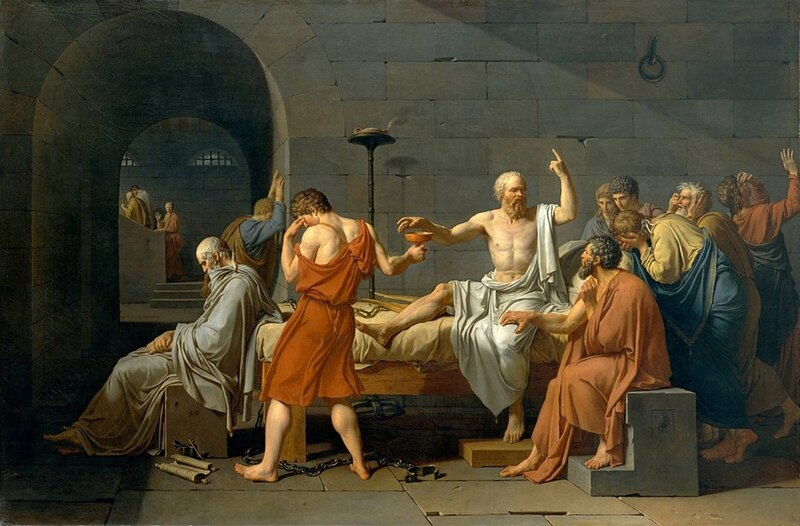 They must have felt that Socrates was treating them with a lack of respect and that his total inability to adhere to social norms must have made them very uncomfortable. .
Also these would be authority figures who would not be used to anyone questioning them and this alone would have made them despise Socrates. Poor Socrates made many enemies this way. As anyone with Aspergers/Autism or anybody knowledgeable about these conditions will know these are all common characteristics of the autistic persona. Autistic people just have a lack of interest in the social hierarchy i.e. if they feel your statement is not correct they will question it whether you are the Receptionist in the Doctor's surgery or the Professor of Medicine it makes no difference they will seek the correct answer in the same manner. This of course causes endless problems for us autistic people because those in elevated positions do not like being questioned and can be quite shocked or taken aback when a mere normal mortal dares to. Thankfully today they can't have you executed for your impertinence but Socrates would not be that lucky. On another occasion Socrates spoke to a wealthy Athenian known as Meno. His belief was that in order to be a virtuous person you needed to be very rich. Also that being poor was a personal failing as opposed to being an accident. Socrates probed him about this belief and asked Meno if you had acquired your wealth through engaging in criminal activities then were you still a virtuous person? Memo replied of course not. So then Socrates queried as to whether Meno believed that a person who had refused to become rich from engaging in illegal activities had not shown how virtuous he was? Others in Athens said that if you encountered Socrates on your journey through Athens he would keep questioning you until he had intently examined your views and opinions and reached what he deemed to be as the most logical answer. He then seemed totally oblivious or unconcerned as to how the person he was having the conversation with felt about this analysis. Was it Socratic Ignorance or Autism that led to Socrates downfall? Socrates was also rigid in his belief that no person ever did a wrong act intentionally. For this theory he delved very deeply into this idea that it was just not logical. In essence his belief was that when a person intentionally acted immorally this would then become a catalyst for this person having bad deeds befalling them. So Socrates argued that why would you knowingly and deliberately act evilly when the end result would lead to evil being redirected towards that person. 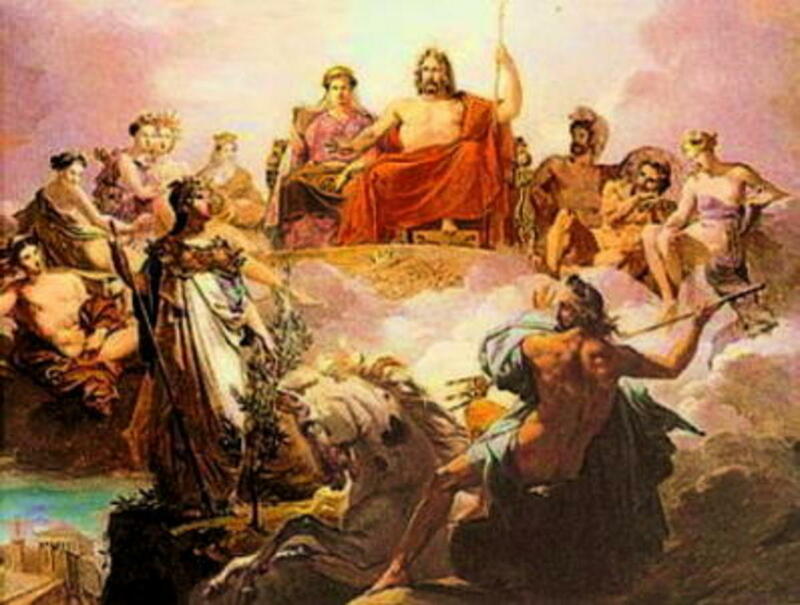 This was the main apology theory that Socrates used when he was put on trial by three very high powered individuals in Athens who maintained that Socrates philosophical arguments and ideals were corrupting the youth of Athens by questioning the purpose of the Athenian arms and the city’s gods. Socrates was found guilty of corrupting Athen's youth by a majority of 280 to 220 jurors. He was sentenced to death but would have been allowed to live if he had agreed to renounce his philosophical views. Socrates declined to do this and therefore he was subsequently executed. His execution became known as the first death to be carried out due to a crime of conscience. After Socrates death many lamented him and those that had brought about his downfall were now shunned and looked down upon. It was ironic that this was exactly what Socrates predicted would happen i.e. a man was put to death just for being curious and Socially naïve and subsequently evil was then revisited upon those that had caused this action to happen. However Socrates place in history has now been guaranteed and he is now known as the forefather of Modern Philosophy even though he never wrote a single argument or theory down but his student Plato recorded a large amount of Socrates dialogue and he himself later went on to develop many of his own philosophical theories. Great philosophical musings Mike, thanks for sharing, I am a bit rusty on Socrates these days so I must reread my article and ponder some more. Great post! I do believe that there is a deeper argument in the 'flaw' you pointed out in Socrates' beliefs. Intentional action, according to Greek Philosophy, requires knowledge. So the argument goes that the people who know what they are doing is wrong, still believe they will benefit overall from the action, which, in Socrates' view, is false. Socrates believes that the virtuous person being tortured in a dungeon is better off than the tyrant ruling an empire. So, in this way, the reason autistic people can't see why someone would act cruelly against someone is that there actually is no GOOD reason, only badly reasoned arguments that take for granted the human dependence on others and the value of trust and friendship. @righteousquestions - I love your split of 3 reasons for Socrates' behavior, and I think all three are correct. He did not intend to offend people but he would knowingly offend people for the sake of knowledge, because he believed that was worth it. Social awkwardness is a direct consequence of not caring about social norms and instead caring directly about the truth of reality, or scientific type knowledge, that is, justified knowledge. I think it was this ethical dilemma that made Socrates decide that it was not prudent to spare someones pride to let them go on believing falsely. However, his method, in the end, did not work on those he offended, so he probably would have been better off if he amended his strategy to ease people into the knew knowledge more, or by NOT getting them to commit to a definition before he tears it apart, but unfortunately the way the autistic brain works it needs some idea that is solid and whole outside of themselves to work on, they cannot be the artwork and the viewer at the same time, so in a way, Socrates had to ask these questions to someone else, these extremely abstract questions had way too many possibilities for him to simply "pick one". But once someone else picked one for him, he could simply find the contradictions and the places that had no contradictions, in order to find the problems spots, then he would think about what the problem spot needed to do, find an analogous process from a different topic, and use that analogy to fill in the gap left by the contradicting part of the original theory. The shoes that I landed in have led me into philosophical ideas. I've been curious as well on this subject. I wasn't sure if it was social awkwardness, if he was doing it on purpose, or if it was integrity in what he believed in that caused his death. I was stuck on the integrity. I do things a bit differently, I can't yet know if he was right or I am. Firstly I am very fortunate to have the internet to learn with, as well as psychological studies. I feel that although the ideas are valid, teaching them to those that would be offended is counter-productive. In those that will be offended the best way to teach is by example I believe. Because of this I am able to lead a relatively non-offensive life. If his story wasn't as intense maybe I wouldn't have been able to learn from it though. Thank you for your report. It's really about compensating for the delusions of others. I'm not sure if compensating for the delusions of others is ethical. I think if he wasn't just socially numb then he didn't believe that it was ethical. Thanks FlourishAnyway. Am not much of a philosopher either but had to study it for a semester. Socrates was the most interesting one I came across. This was a very interesting perspective, and I enjoyed reading your arguments. I'm not much of a philosopher but I do appreciate ideas I've never encountered.